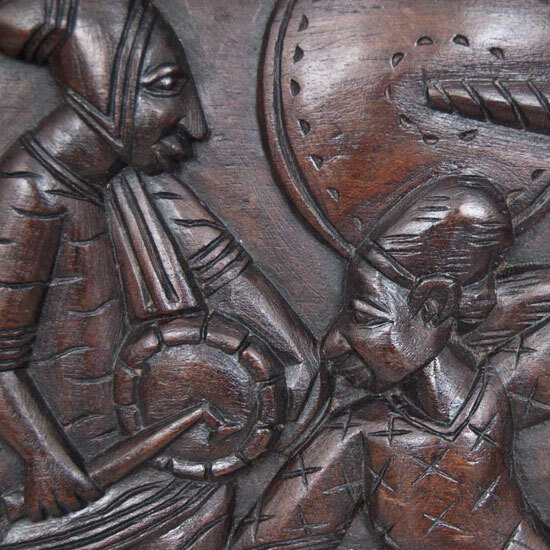 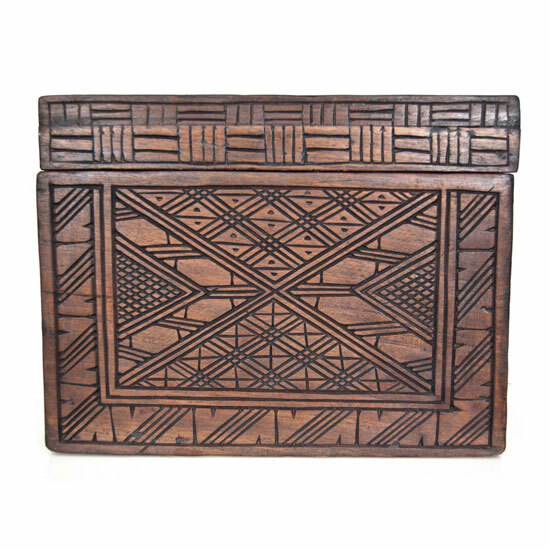 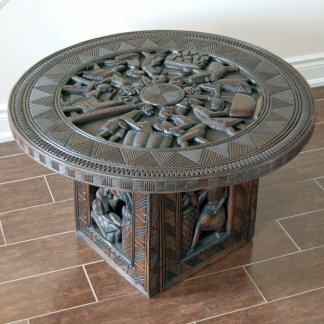 Hand-carved solid wood decorative trunk with Yoruba folklore motif. 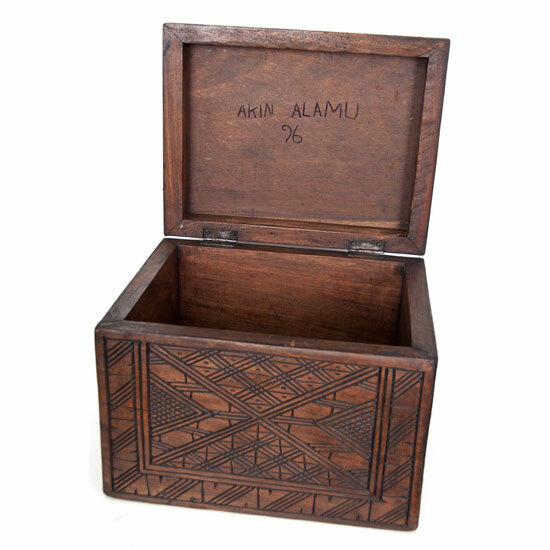 Storage as art, art as storage. 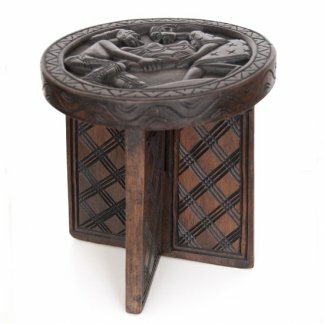 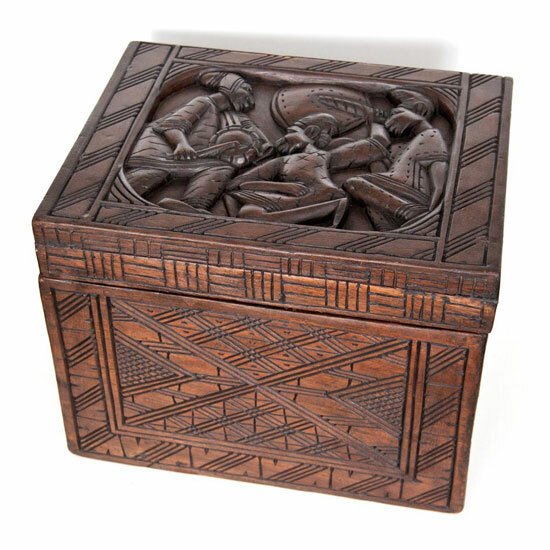 Solid and hand-carved with high relief sculptural figures. 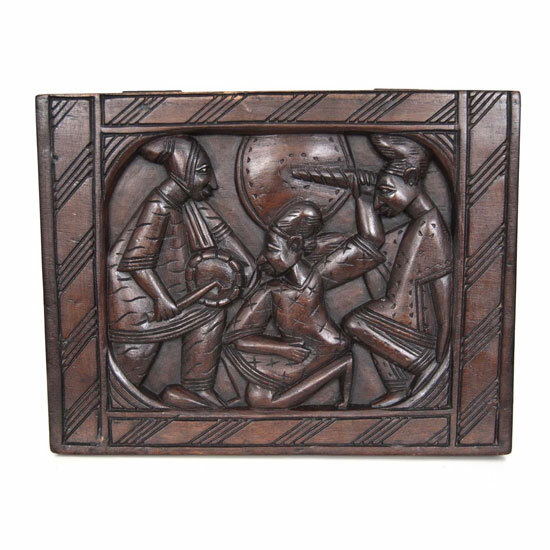 Carved and signed by sculptor Akin Alamu in Ibadan, Nigeria, 1996. 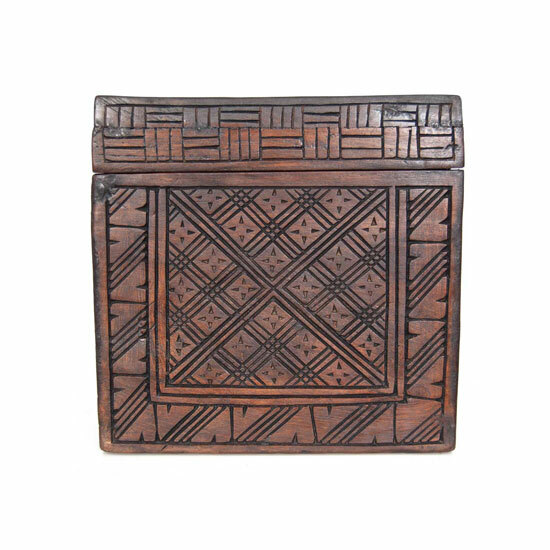 One-of-a-kind import from Africa.